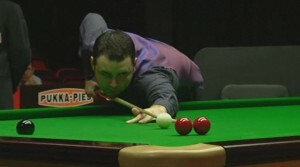 Following a strong 2007/2008 season which brought him two ranking titles, Maguire is now firmly established as one of the strongest players in the field. Once a member of the WPBSA’s Young Players of Distinction scheme, he has now won four world ranking event titles and will be hoping to one day win the biggest prize of all – the World Championship. Having been a regular practice partner with Stephen Hendry in his early days, Maguire as you might expect is an excellent break-builder. With two 147’s in his career and over 100 centuries to his name he is deadly when in and around the black spot and not short of ability when it comes to a safety battle either. The one question mark over Maguire however has undoubtedly been his temperament, indeed he is not afraid of expressing his frustration both in the arena and during his post-match interviews. Following an impressive amateur career culminating in victory in the 2000 IBSF World Championship with an 11-5 final win over England’s Luke Fisher, Maguire immediately began to make his mark on the main tour. Having qualified via the UK Tour the previous year, he won his first ten matches in the 2000 World Championship qualifying rounds before losing 10-9 to eventual semi-finalist Joe Swail. 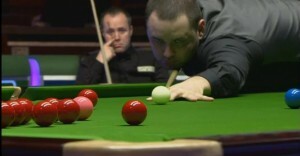 He did however make his first 147 beak at the Regal Scottish Open and entered the top 100 of the world rankings. Following a couple of quiet years it was to be the 2003/4 season where he would really make an impact however, claiming his first ranking event title at the European Open in Malta before qualifying for the World Championship in Sheffield. Despite a good showing against eventual winner Ronnie O’Sullivan he did not make it past the first round, though he did do enough to move into the top 32 of the rankings for the first time. 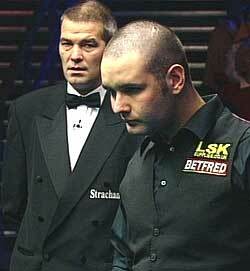 2004/5 was to be even better as following an appearance in the British Open final where he lost to fellow Scot John Higgins, he won the UK Championship, emphatically beating David Gray 10-1 in the final. The amount of ranking points awarded in the tournament being second only to the World Championship, this helped propel Maguire up to a career high third in the rankings at the end of the season. Having reached this high point however, following a disappointing exit to Ronnie O’Sullivan in the first round of the 2005 World Championship having led 9-7 at one stage, Maguire was to suffer an alarming drop in form. With only one quarter-final to his name during the following season, his ranking dropped to 9th, starting the next season in danger of falling out of the elite top 16 bracket. 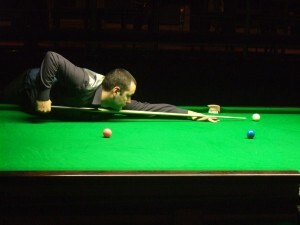 Although 2006/7 was to yield no titles, he did manage to go on an impressive run at the Crucible where he reached the semi-finals of the 2007 World Championships. 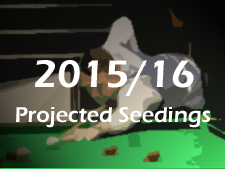 Despite leading eventual winner John Higgins 14-10 at the start of the final session though, he lost out 15-17. He did not let his disappointment get him down however as having retained his place in the top 16, he pushed on in 2007/8 and won two world ranking events. First to come was the 2007 Northern Ireland Trophy where he beat Fergal O’Brien in the final, before he added the 2008 China Open to his honours later in the season. In the final he managed to beat old rival Shaun Murphy in a deciding frame in what was undoubtedly a sweet victory for the Scotsman who had already made his second 147 break in his semi-final match. Although he lost in disappointing fashion to Joe Perry in the quarter-finals of the 2008 World Championship, his performances were enough to see him move him to a career-best second in the rankings behind O’Sullivan. Having taken those two titles the previous season, many expected Stephen to then push on and win more in 2008/9. For whatever reason however, his campaign was to be blighted by inconsistency, brilliant performances in the early rounds being followed by below par showings in the next. Though he suffered a couple of semi-final defeats in Shanghai and the UK Championship, by far the most disappointing result of all for him was his quarter-final exit at the hands of Neil Robertson in the 2009 World Championship. Maguire had said earlier on in the season that he was desperate to win the tournament during the next couple of seasons while he is at what should be his peak, but he did not play particularly well at any stage of that match. Following his disappointing campaign in 2008/9, Stephen underwent laser eye surgery during the summer and the early signs were good. 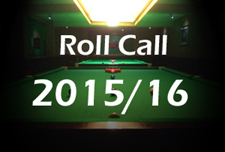 In his first competitive tournament following the procedure he made it to the final of the Beijing International Challenge where he lost out in a deciding frame to Liang Wenbo, before he took victory in the first Pro Challenge event in Leeds in July. His start to the ranking event season was disrupted however when he suffered a shoulder injury shortly before the start of the Shanghai Masters which forced him to withdraw from the event. Though he recovered in time to play in the Grand Prix, he could not progress beyond the last 16 and was to suffer a cruel blow ahead of the UK Championship in Telford when his grandfather very sadly passed way. Full credit to Stephen though because despite the emotions that must have been running through his mind that week, he was able to go all the way to the semi-finals where he lost out 9-5 to Ding Junhui. The second half of his season continued to be solid with a semi-final appearance at the Welsh Open his strongest result, but a heavy 13-6 defeat at last 16 stage of the World Championship to Graeme Dott saw him drop to sixth position in the rankings, his lowest position since 2007/8. 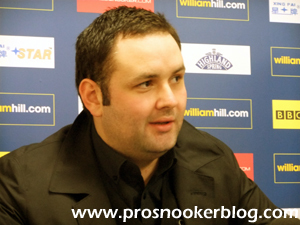 Stephen made a strong start to the 2010/11 campaign as he reached the final of two Players Tour Championship events, losing out to Mark Williams and Stephen Lee respectively. During the early stages of the season it appeared as though his Achilles heel of the previous season when he struggled against his fellow top players was to continue but at the UK Championship in Telford he was able to record a tremendous 9-7 win against Mark Selby to reach the quarter-finals. A further quarter-final came in Berlin before at the Welsh Open he produced a series of strong performances to defeat Gerard Greene, Stephen Hendry, Mark Williams and Mark Selby to reach his first ranking event final in nearly three years. Despite racing into 5-2 lead early in the match however, Stephen could not make his first session dominance count and eventually slipped to a 9-6 defeat. This was to prove the last highlight of Stephen’s season as following the birth of his third child which forced him to withdraw from the PTC Grand Finals in Ireland, his form was to dip thereafter as he lost his opening matches at both the China Open and the World Championship. Stephen continued to struggle for results during the full-ranking events early in 2011/12, last 32 defeats to Ken Doherty and Anthony Hamilton in Australia and Shanghai meaning that he would drop out of the world’s top eight at the season’s first seeding revision. 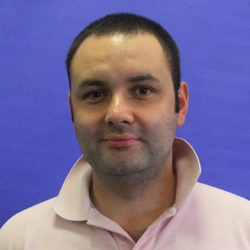 He was however to perform consistently during the PTC events, reaching the last 16 stage on six occasions, enough to earn him a place at the Grand Finals in Galway in 2012. Stephen also enjoyed a return to form at the UK Championship, defeating fellow Scots Stephen Hendry and John Higgins to reach the quarter-finals before losing to eventual champion Judd Trump. Stephen followed this up by taking victory in the final event of the 2011/12 PTC season in Munich, defeating Joe Perry 4-2 in the final to claim his first ranking event title in 45 months since the 2008 China Open. This was followed by a run to the final of the German Masters, where having at one stage led Ronnie O’Sullivan 5-3, he eventually lost out 9-7 in Berlin. He did gain a measure of revenge against O’Sullivan at the China Open as he defeated the three-time world champion on his way to another final, but despite a terrific fightback from the Scot, he was not able to complete victory against Peter Ebdon, losing 10-9 in a late-night finish. His season was to end with a bitter-sweet run at the Crucible as he defeated Luca Brecel, Joe Perry and Stephen Hendry to reach the semi-finals, before he lost out 17-12 to Ali Carter. 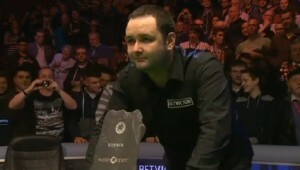 While this marked his second appearance at the one-table stage at the Crucible, Stephen admitted during his post-match interview that he saw this as a real missed opportunity for him to get his hands on the World Championship trophy. Following an opening round defeat to Rod Lawler at the season-opening Wuxi Classic tournament, Stephen was to make a strong start to the 2012/13 season, defeating Jack Lisowski 4-3 to win the first UKPTC event of the season at Gloucester, before narrowly missing out on a repeat at the second, losing out to Martin Gould. A semi-final followed at the ET2 event in Gdynia, however in the full-ranking events he was to struggle to make an impression as he bowed out at the last 16 stage of the season’s next three events. Moving into 2013, Stephen would become a consistent threat at the regular Championship League events, reaching four group finals, while he also made it to the semi-finals of the invitational Shoot Out in Blackpool, losing to Mark Allen. It was at Newport however, where his long wait for a fifth career ranking event title would finally end, as he defeated Anthony Hamilton, Matthew Stevens, Alan McManus, Judd Trump and finally Stuart Bingham, 9-8 in the final, to capture the Welsh Open. A semi-final run at the China Open would follow, where he was only denied another shot at the Beijing title by eventual champion Neil Robertson in a decider, before his season was ended by Dechawat Poomjaeng at the World Championship, again in a final frame. The 2013/14 season was to prove a difficult one for Stephen, which saw him drop down to 14th place in the rankings following his opening round defeat to Welshman Ryan Day at the World Championship. In contrast to previous seasons, deep runs at the biggest ranking events proved relatively hard to come by, his best result being a semi-final at the inaugural Indian Open, while he also reached the quarter-finals at the UK Championship in November 2013. Some of his strongest results were to come during European Tour events, quarter-finals in Rotterdam, Doncaster and Gdynia, as well as a semi-final run at the Ruhr Open before Christmas helping him to qualify for the Plays Championship Grand Finals in Preston. He was though to struggle for results towards the end of the season, back trouble which first became apparent at the Welsh Open perhaps contributing to opening round defeats at the World Open and Players Championship events, as well as his decision to withdraw from the China Open in Beijing. 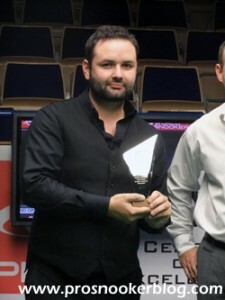 Stephen was to enjoy an improved season in 2014/15, defeating Matt Selt to win the Lisbon Open event shortly before Christmas, while he also reached the semi-finals of both the UK Championship and the German Masters as he looked to secure enough ranking points to avoid having to qualify for the World Championship. At one stage it looked as though his decision not to enter the Indian Open late in the season might come back to haunt him, but his above results, allied to quarter-final runs at the Wuxi Classic and Welsh Open tournaments, would prove to be enough to see him take the final Crucible seeding. Unfortunately for Stephen, it was to be yet another 10-9 defeat in Sheffield, this time to countryman Anthony McGill on the second day of the tournament. Away from the big ranking events, Stephen did at least enjoy success at the Six Red World Championship, defeating Ricky Walden to claim the title in Thailand.